Seton's Custom Facility Labels are backed by our 100% Satisfaction Guarantee! 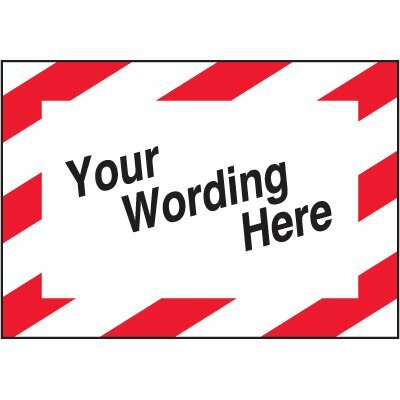 Select from a wide variety of Custom Facility Labels at competitive prices. Plus most of our top-quality Custom Facility Labels are in stock and ready to ship today. Seton striped labels draw attention to your custom message, increasing awareness and safety in your facility. Customize your message under an OSHA-compliant headers, available in English or Spanish.